Police continued to search early Thursday night for a suspect possibly shot by a Bismarck police officer after the man attempted to run the officer over. 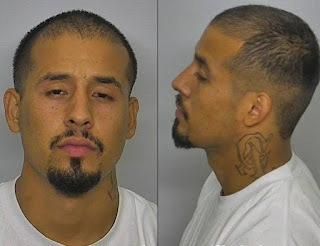 Bismarck Police named the suspect as 22-year-old Ulises Villalobos. A law enforcement officer possibly sighted him around 5:30 p.m. Thursday as far away as the Argusville exit on Interstate 29, according to a news release. Villalobos may have left Bismarck in a white 2002 Subaru Legacy Outback with North Dakota license plate 476BJY, according to police, eastbound and possibly accompanied by a large Hispanic male. 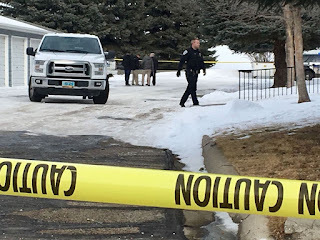 The officer who fired upon the suspect vehicle was uninjured from the attempted assault, according to Bismarck Police Officer Pat Renz, who said the North Dakota Bureau of Criminal Investigation will look into the shooting. Bismarck Police Sgt. Mark Buschena said the officer is on administrative leave, per police policy. Bismarck police officers were assisting state parole and probation with a search warrant at a residence at 3221 Montreal St. shortly before the attempted assault around 11 a.m. Thursday. Villalobos reportedly left in a black 2013 Chevrolet Equinox that police found abandoned about two hours later on the 2500 block of Hillview Avenue. Evidence inside indicated Villalobos was likely struck by a bullet, according to the news release. Villalobos is Hispanic, 5-foot-9, 170 pounds with brown hair, brown eyes and a neck tattoo. He was wearing a black T-shirt and blue jeans. The news release said he may need medical attention or be looking to steal a vehicle. He has a state criminal record that includes previous driving-related violations, as well as fleeing or attempting to elude a police officer and simple assault on an emergency worker, both from last year. Court records indicate Villalobos is on supervised probation until February 2019 for the latter crime. North Dakota Department of Emergency Services spokeswoman Cecily Fong said the attempted assault triggered the state’s first use of a Blue Alert. A Blue Alert is a notification alerting residents to a dangerous situation involving a law enforcement officer, such as a suspect at large who has injured or killed an officer. The law was enacted in March 2015 and the system went live in May 2015, according to a North Dakota Attorney General press release. Fong said BCI makes the final determination to issue a Blue Alert. She also said Thursday’s Blue Alert crashed the NDDES website from too many users at one time, a situation which has been resolved. Fong said it’s unknown how many mobile phone users in the state received the alert. Residents can check nd.gov/publicalert for information regarding Blue Alerts. Anyone with information regarding Villalobos' whereabouts may call Bismarck Police at 701-223-1212. Police warn not to engage the suspect if sighted. Tribune reporter Blair Emerson contributed to this story. 0 Response to "Attempted assault on officer prompts first Blue Alert"